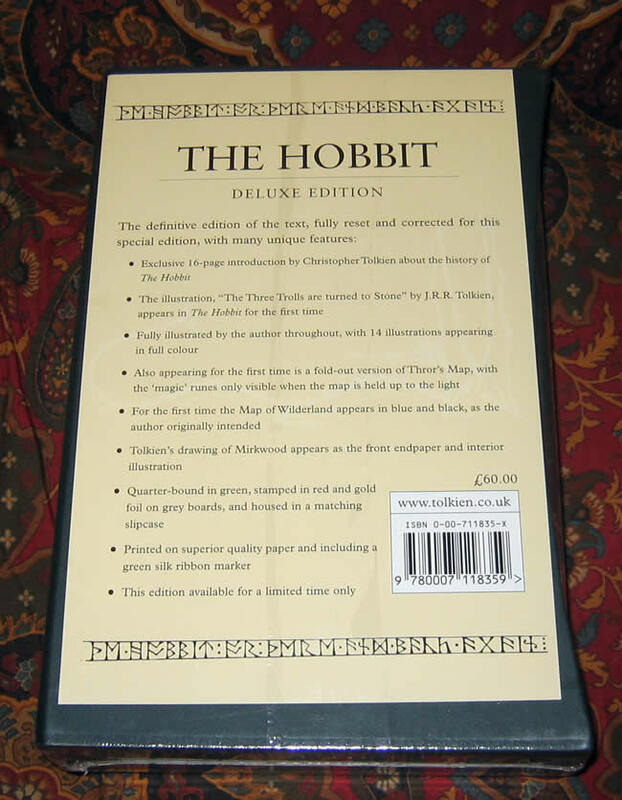 #000540 - The Hobbit, Matches the 50th Anniversary Edition of the Lord of the Rings, Harper Collins 2004 - $275.00 Quarter bound in green, stamped in red and gold foil on grey boards, and housed in a matching slipcase. The illustration, "The Three Trolls are turned to Stone"
by J.R.R. Tolkien, appears for the first time. This edition is available for a limited time only." Still sealed in plastic shrinkwrap, unopened.